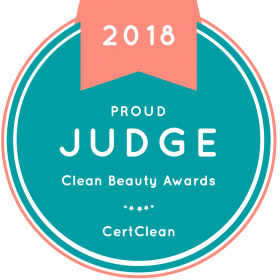 Traditionally the beauty category has been dominated by French brands : L’Oréal, Guerlain, Bourjois, Lancôme, La Roche-Posay, the list goes on and covers all aspects of beauty, from luxury fragrance to the famed pharmacy skincare. Then there was the discovery of South Korea’s skincare expertise which has afforded their beauty products some of the limelight in the last few years. But what we’re increasingly seeing, alongside the big names and heritage brands, are small natural British brands carving a space for themselves too. Mintel’s latest report on global beauty trends highlights consumers’ increasing demand for natural ingredients as well as leaning towards a more local approach, a movement we’ve seen grow in the food industry. Some of these small batch products are handmade, others are organic, but all are indigenous. Here is a selection of home grown emerging natural beauty brands that have recently caught my eye. What are your recent British beauty discoveries? Have you tried any of these ? Please leave a comment below to let me know. Sure I can find replacement products! Thanks again FBF for this post always interesting to hear about new products and I agree with you, I am being more and more wooed away from the big luxury brands and towards more natural niche ones. One brand I have given a try recently is Aurelia probiotic skincare range and in particular I like her Cell Repair Night Oil. It is probably not as niche as those you have listed but it certainly ticks the British and natural boxes! Hi Emily, I haven’t tried Aurelia products but sounds like I should look into it! This is a lovely article, all of these products sound wonderful. And thank you for the links to the various companies!